Extended periods of extremely light weather meant that the Saint-Malo to Lisbon leg had to be split into two parts. As expected, the Volvo Ocean 65s stayed tightly bunched on the first of those, a drag race towards Le Grand Lejon. Vestas 11th Hour Racing were neck-and-neck with MAPFRE for the lead, with the Spanish side just pipping them to the line. 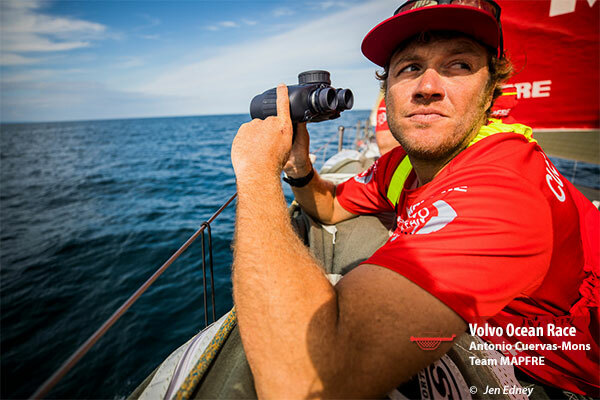 Dongfeng Race Team grabbed third ahead of Turn the Tide on Plastic and team AkzoNobel. Preliminary unofficial results gave Team Sun Hung Kai/Scallywag and Team Brunel the same time, with less than a mile between the first and last teams in the seven-boat fleet. The fleet will negotiate the passage of a cold front early Tuesday morning and the new wind will set them up for a downwind drag race towards Cape Finisterre, the northwestern tip of Spain. It will be a race for their competitive lives – with light winds chasing them as a ridge of high pressure again pushes into the normally tempestuous Bay of Biscay. "Leg Zero has been really good for us," said MAPFRE skipper Xabi Fernández, whose team have won two out of the three races completed so far. "Saint-Malo to Lisbon is the last stop so it's not quite over yet but I'm so happy with the team, the boat... Everything seems to be working out." After negotiating the narrow channel between Cape Finisterre and the out-of-bounds shipping channel, they'll have a pretty simple run down the Portuguese coast. There's no major strategic play here, just pure speed before a handbrake turn into the Tagus river and the finish in downtown Lisbon. The agreement is part of an ambitious plan to develop the next generation of offshore sailors, and create stronger links to the wider sport. 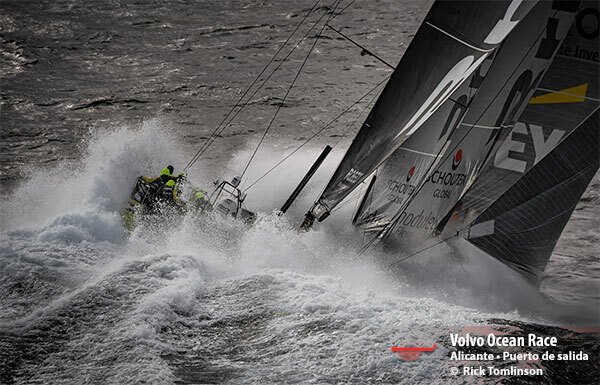 The partnership is a signal of the Volvo Ocean Race’s commitment to the sport and the future of offshore sailing. 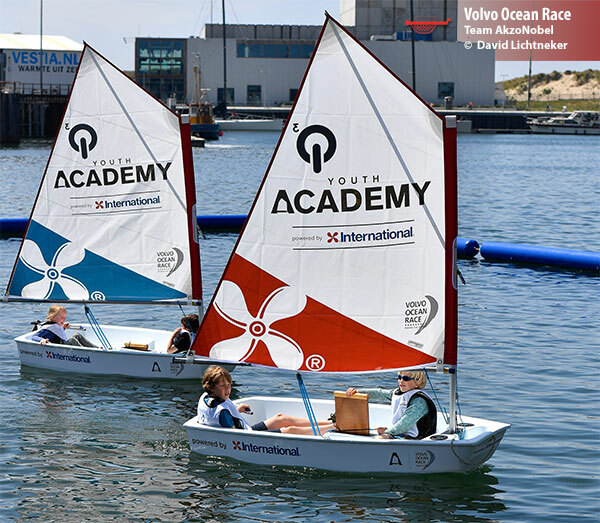 The race’s long-term plan will include opening future Ocean Academies to help young high performance sailors gain the necessary offshore experience to compete for places on participating teams. That would include racing in the same boats used in any future Olympic class of offshore sailing – something currently under discussion between World Sailing and the International Olympic Committee. Under a separate agreement announced on Wednesday, the Race has also revealed that marine and protective coatings brand, International, will back the official Volvo Ocean Race Youth Academy in 2017-18. Volvo Ocean Race CEO Mark Turner said the World Sailing agreement would help create stepping stones to the iconic round-the-world race – the toughest test of a team in professional sport. “The Volvo Ocean Race is at the apex of the offshore and ocean racing pyramid, but unlike something like the eco-system in French sailing, we don’t yet have an established pathway to make getting there a natural progression,” said Turner. “The partnership with World Sailing is important for us to show a long-term commitment to the sport and, equally, World Sailing’s support and understanding of what the Volvo Ocean Race does – to continue to inspire the world’s best athletes to go offshore. “But we need to create some steps underneath it like the Volvo Ocean Race Academies and a closer link to the potential Olympic offshore class. World Sailing is the world governing body for the sport of sailing, officially recognized by the International Olympic Committee (IOC) and the International Paralympic Committee (IPC). Founded in 1907, World Sailing's vision is for a world in which millions more people fall in love with sailing; inspired by the unique relationship between sport, technology and the forces of nature; we all work to protect the waters of the world. World Sailing is made up of 145 Member National Authorities, the national governing bodies for sailing around the world and 114 World Sailing Class Associations. The Volvo Ocean Race will celebrate 45 years of history with a Legends Race on the final leg of the 2017-18 edition from Gothenburg to The Hague. Any yacht to have featured in the Whitbread Round the World Race or Volvo Ocean Race, dating back to 1973-74, will be welcome to join the 2018 Legends Race. The race will be run over the same course, and around the same time, as the closing leg of the Volvo Ocean Race 2017-18, which starts from Gothenburg on 21 June. In the last edition in 2014-15, MAPFRE won the leg into Auckland, New Zealand and grabbed three more podium finishes. Their return is testament to the success of the project both on the sporting and commercial side. MAPFRE president Antonio Huertas said: “It’s an honour for MAPFRE to be on the start line again in one of the most demanding competitions in world sport. We really value being involved in a sailing competition around the world that represents the same values that define us as a company. Spain’s Pedro Campos will again oversee the MAPFRE project, with announcements on the skipper and crew to come in the near future. Spanish boats have competed in eight of the previous 12 editions of the Volvo Ocean Race – formerly the Whitbread Round the World Race – but the country is still looking for a first win. “It’s fantastic news to be able to confirm a Spanish team for the next edition, and of course great to see another sponsor return to the race after a successful campaign,” said Volvo Ocean Race CEO Mark Turner. Spanish sailor Campos has an unbroken history with the race dating back to the movistar campaign in 2005-06. Pedro Campos, CEO of Team MAPFRE and of the last five Spanish projects in the Volvo Ocean Race, said: “We are very grateful and proud to have the full support of MAPFRE once again for the great adventure that is the Volvo Ocean Race, probably the longest, hardest, and most extreme event in the sports world. The change to the 2017-18 route means the Race will visit Australia for the eighth time – but for the first in more than a decade. With what will be a compressed stopover, Melbourne fits between Cape Town and Hong Kong, and completes a 45,000-nautical mile route that will see the teams cover three times as many miles in the Southern Ocean as in previous editions. According to projections, the one-design Volvo Ocean 65 fleet will arrive around Christmas Day – meaning an extra reason to celebrate in the state capital of Victoria. Minister for Tourism and Major Events John Eren commented: “The Volvo Ocean Race is another chance for Victorians to see some of the world’s best sailing teams in action. Major events are fantastic for the entire visitor economy – they keep our restaurants and hotels full and our shopping precincts bustling. He concluded: “The Victorian Government is proud to work with a range of dedicated partners to support this stand out sailing event.” Australia’s history with the Volvo Ocean Race goes all the way back to the first edition in 1973-74 and, in total, Australia has hosted the race seven times. The race first came to Melbourne in 2005-06 and now returns for a second time. 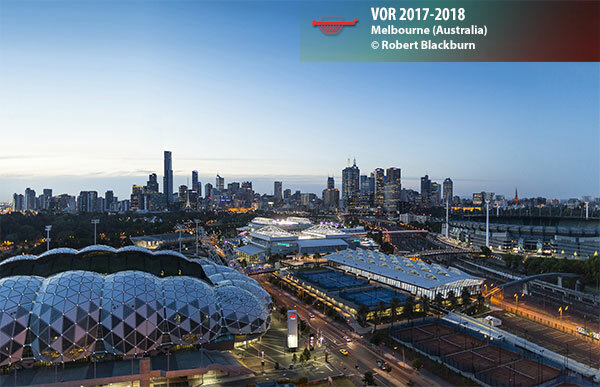 “We’re delighted to be visiting Melbourne again – a vibrant city of sport and culture with a strong maritime heritage,” said Volvo Ocean Race COO, Richard Mason. “Having been born in Australia myself, I couldn’t be more excited to see the race head Down Under, and I know that sailing fans across the nation will be full of excitement to see the boats and sailors for themselves. 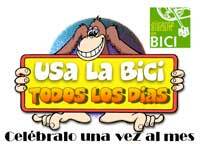 ” The full route now features a total of 10 legs taking in 12 landmark Host Cities on six continents. 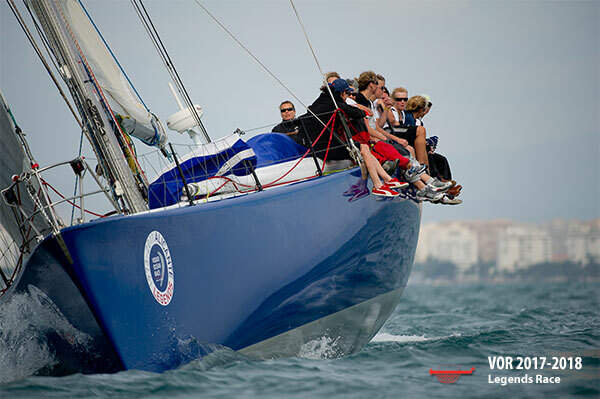 The teams will leave Alicante, Spain on 22 October and race on to Lisbon, Cape Town, Melbourne and Hong Kong before a non-scoring transition to Guangzhou in China. The Volvo Ocean Race Museum will be free to enter with immediate effect, giving more people than ever a chance to experience the historic round-the-world sailing race first hand as it celebrates its 40th anniversary. The move to offer free entry comes as part of the Volvo Ocean Race's 40th birthday celebrations, which began with the opening at the Alicante Museum of a stunning new photographic exhibition entitled '40 years, 40 faces'. "We want everyone to be able to enjoy this spectacular interactive Museum and get to know a race that has been creating heroes and legends since 1973," said Volvo Ocean Race CEO Knut Frostad. "We're currently enjoying our 40th birthday celebrations and we want Alicante locals and tourists alike to see the wonderful new exhibition and gain an understanding of what makes this race so special." 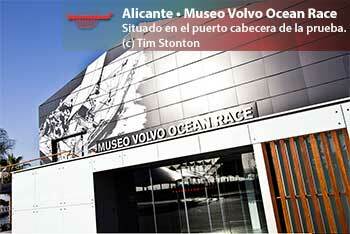 The Volvo Ocean Race Museum opened in Alicante in June 2012 and is based at the race's state-of-the-art headquarters, just a five-minute stroll from the Mediterranean city's central esplanade and Postiguet beach, in the thriving port area of one of Europe's most popular tourist destinations. The high-tech museum gives a close-up view of the NASA-inspired Race Control room at the race's headquarters, while offering visitors the chance to get hands-on with the race via a series of interactive displays. The '40 years, 40 faces' exhibition features pictures from all 11 previous editions, focusing on people rather than boats, on faces rather than waves, and paints an intimate view of a race that began life as the Whitbread back in 1973 and remains sport's ultimate test of teamwork and character. The changes include a commitment to race activity in every calendar year and a proposed non-stop lap around Antarctica as a leg of the race as part of future routes that could look very different. But Race CEO Mark Turner stressed that racing around the world, and maximising Southern Ocean miles, would continue to be at the heart of every future edition of the 44-year-old fully crewed race. The race has launched a Host City tender process for three editions after the upcoming 2017-18 race – with a commitment to there being race activity of some kind in each and every calendar year. That marks a clear evolution from the current situation, which features a gap of over two years between races. And while the race is committed to two more starts from its home and key partner in Alicante, Spain, some future editions could start and/or finish outside Europe, Turner revealed at special event in Gothenburg. New racecourse options to be selected over the coming decade include a non-stop leg around Antarctica as part of a round the world course – and Turner revealed that another leg could even be a full non-stop lap around the planet. The dates of the three races after the upcoming 2017-18 edition have not yet been decided, but the sequence could start as early as 2019. Under instruction from the Volvo Ocean Race Board, the race is investigating the feasibility of a switch to a two-year cycle from the current three-yearly one, an evolution that could align all the major events of the sport – the Volvo Ocean Race, Vendée Globe, America's Cup and Olympic Games – in a non-conflicting calendar for the first time ever. The 2017-18 edition, starting from Alicante on 22 October, will visit a total of 12 Host Cities in a race lasting more than eight months. Future editions may not always visit so many markets, thereby shortening their length. The race will, however, commit to visiting North America, South America, Australasia, Greater China, and at least five major European markets at the very minimum once every other edition, so that there is commercial certainty well ahead of final routes being contracted, making it easier for 2-cycle sponsor commitments to be made to teams. In addition to varying the routes of the race, Host Cities will be able to choose from a range of flexible stopover formats – from a 24-48 hour pit-stop, to short-format stopovers of five days, through to longer ‘two weekend’ stopovers. For the first time, potential Host Cities will be able to bid for not just for race stopovers but also for more permanent bases and activities that bring significant economic value. They include bases for Volvo Ocean Race Academies, venues for the sustainability Ocean Summits and future iterations of The Boatyard, currently based in Lisbon, Portugal. The Chinese sailors are Jiru Yang, aged 26, who uses the English name Wolf; Liu Xue, 24, known as Black, and Chen Jinhao, 25, Horace. They are joined by Australian/British sailor Jack Bouttell in a four-strong squad of Under-30s in Charles Caudrelier’s Chinese-backed team. Speaking at Shanghai Auto 2017, Wolf said he was delighted to be named once again as part of Caudrelier’s final squad. “It’s such an honour to sail again with this team,” he said. “On the boat during the hard moments, I sometimes said to myself that I would never do it again, but there are good memories too, that’s why I have come back again. 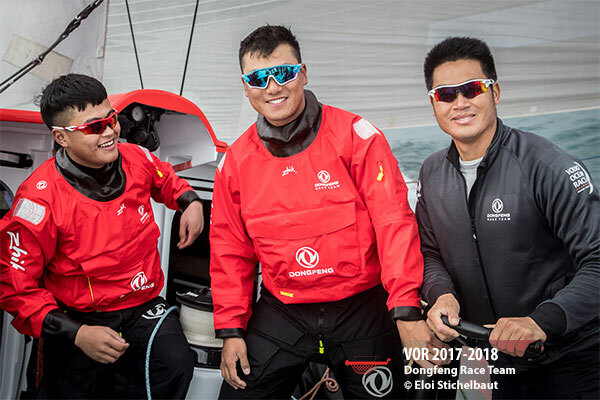 “One of the most important things for me is that we are trying to encourage more Chinese people to sail…so I hope we can bring more attention to the sport by racing again with the team.” Horace said his goal would be to concentrate on racing. “Wolf, Black and Horace have one Volvo Ocean Race behind them and all of them sailed on at least two or three legs of the last race, so we are in quite a different position,” the Frenchman said. “Last time we were selecting them in China and teaching them how to use a winch, this time we are only speaking about performance. Once again, GAC Pindar and GAC companies around the world will be put to the test by the Volvo Ocean Race. The 2017-18 edition will be the second consecutive time that GAC serves as the official logistics provider for the world’s premier offshore round-the-world race, after its successful collaboration in 2014-15. The Group’s marine sport and leisure logistics specialist, GAC Pindar, will work closely with GAC offices around the world to provide a wide range of services for the Race which kicks off in Alicante, Spain, on 22 October. That will include customs clearance and transportation of pavilions and hospitality infrastructure, broadcast and other support equipment to Host Cities across six continents. It will be a repeat of the epic challenge presented by the 2014-15 Race, during which the GAC Pindar team clocked up more than 21,000 man hours working to ensure the smooth delivery of the event. It also played a key role in getting two of the competing crews and their boats back in the Race after disaster struck: assisting in the Dongfeng Race Team mast replacement after it snapped en route for Brazil; and moving Team Vestas Wind’s stricken boat after it ran aground on the Cargados Carajos Shoals near Mauritius. Since its establishment in 2011, GAC Pindar has become the go-to provider of marine leisure logistics, offering a complete range of services such as yacht transport, superyacht fuels, air ocean and land freight, yacht spares logistics, sailing even management and ship agency. The announcement of its appointment for the Volvo Ocean Race 2017-18 follows the signing in November 2016 of a long-term deal making it the official provider of marine logistics and shipping services for World Sailing, the world governing body of sailing representing more than 140 member nations. GAC Pindar is also the official logistics provider for the Extreme Sailing Series, World Match Racing and the M32 Series. “We are thrilled to again be the official logistics provider for this iconic event, building on the success of our collaboration for the 2014-15 Volvo Ocean Race,” says Andrew Pindar, Team Principal, GAC Pindar. Volvo Ocean Race COO Richard Mason underlines the importance of working with a reliable logistics partners: “As a unique global event working under severe time pressures and facing unexpected obstacles, flexible logistics management is integral to operational delivery of the Volvo Ocean Race. 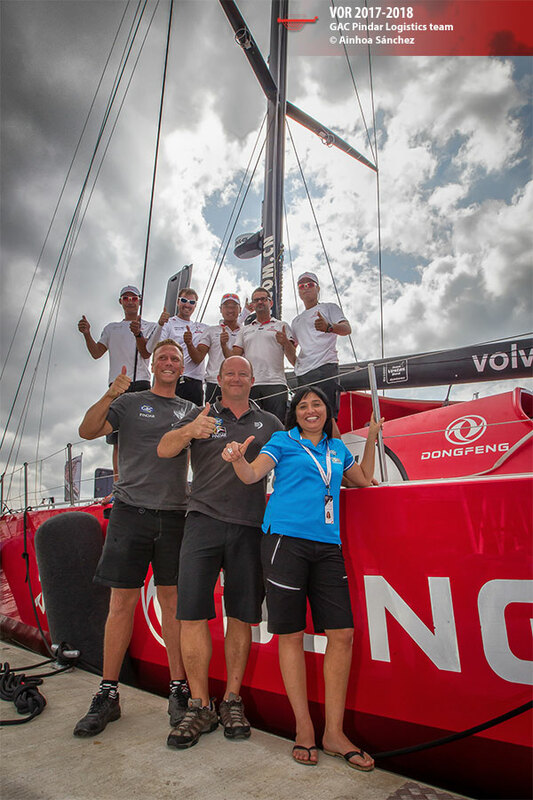 And Dongfeng technical specialists were full of praise for the Boatyard team, who have given the boat a complete overhaul whilst under huge time pressure. “We have our boat back and she is still the same one that we got to know last time,” said boat captain, Graham Tourell. “But really she is almost new with some innovative upgrades – everything has been either replaced or renewed and she looks stunning in her new livery.’ Dongfeng skipper Charles has been working for months to build his crew for a campaign which he hopes will see the team better their third place of 2014-15, and the handover of the boat is a landmark occasion, he says. “Getting our hands on the boat today is another huge step for us. It marks the beginning of another adventure for our team and the moment that we start our training programme in earnest. 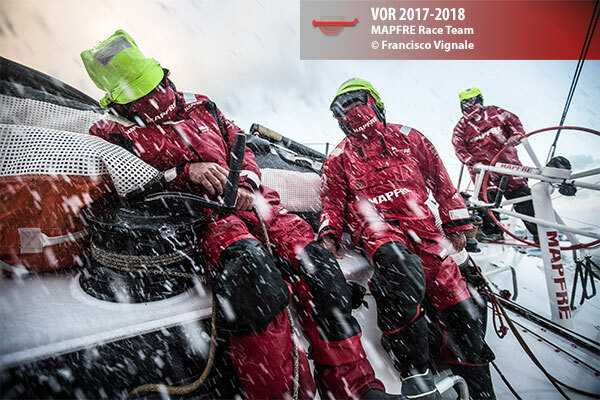 In the next few weeks we will also be able to finalise our crew selection.” Who will sail onboard Dongfeng is not yet confirmed, but the Frenchman revealed that his squad will once again feature a mixed Chinese and western crew and will take advantage of new rules designed to encourage female sailors to take part.